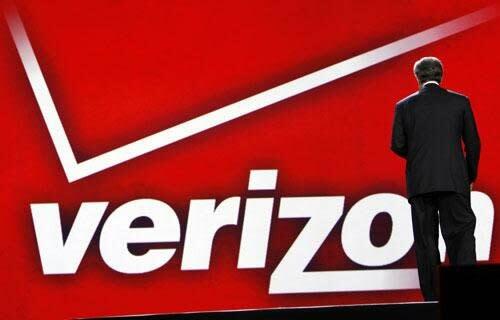 Verizon : résultats "en ligne"
If at first you don’t succeed, hire a lobbyist. At least that seems to be the answer for Verizon Communications Inc. The American telecom giant appears to be setting the stage for another possible run at the Canadian market, two months after it ended months of speculation over a potential move north with its decision instead to buy out the 45 per cent of Verizon Wireless that it didn’t already own. In June, Verizon had offered US$700 million for Wind Mobile before deciding to scrap the deal in August, and was also reportedly considering a bid for Mobilicity. In announcing the US$130 billion megadeal that saw it buy out Vodafone’s stake in the Verizon Wireless joint venture, Verizon CEO Lowell McAdam, said at the time that his company was “not going to Canada”. He may have spoken too soon, as Verizon has since hired a Canadian lobbyist in an apparent bid to shift the federal government’s position on foreign ownership in the Canadian telecom market. According to the filing, Burn plans to approach both the Prime Minister’s Office and Industry Canada, and the specifics of the request make it clear that Verizon wants to discuss the rules that govern who has access to the Canadian wireless market, and what they can and cannot do once they’re here. The section of the Radiocommunications Act that Verizon apparently wants to talk about outlines the Industry Minister’s powers around issuing spectrum licenses, updating licensing terms, setting technical standards and virtually every other aspect of wireless operation. As speculation over a possible Verizon move into Canada grew throughout the summer, BCE Inc., Rogers Communications and Telus Corp. launched a national “Consumers First” media campaign to sway consumer sentiment against the American company’s entry. The campaign specifically warned against granting sweet deals to foreign investors, and said unchecked foreign investment would result in job losses here. Verizon’s lobbyist move comes as the government wrestles with its desire to boost competition in the wireless market with its fear of putting Canadian technology in foreign hands. Its refusal last month to allow an Egyptian firm to purchase Manitoba Telecom Service’s (MTS) Allstream unit and its reported turndown this week of Lenovo’s interest in buying into BlackBerry could cool foreign investment in the Canadian wireless market if the trend continues. Despite the ramped-up dialog with the federal government, a Verizon spokesperson says the company has always advocated looser regulatory oversight in Canada, and warns against reading too much into the move. Varettoni says the latest filing is simply business as usual for his globally-focused company.